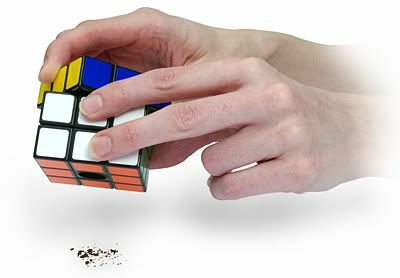 The set of Rubik's Cube salt and pepper mills will only run you 15 bucks, and hey, it'll be fun to season your food now. 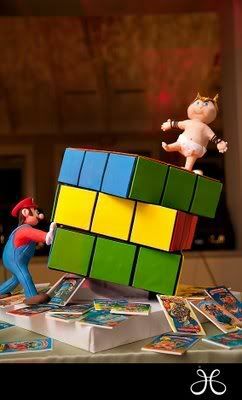 Fat Man and Circuit Girl created a NES mouse and a Rubik's Cube mouse, too. Okay, I might just be posting about this because of their awesome names. Or maybe it's because it involves yet another NES item, hehe. This one is an electronic push-button version instead of the normal twist-around kind. 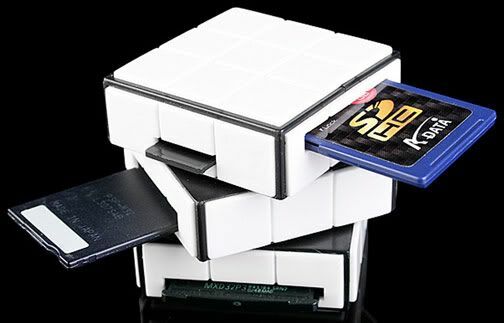 It also has an extra five games you can play on it, so Rubik's Cube definitely got a modern makeover here! I always feel inadequate when I see a Rubik's cube. I never did manage to solve it. Not once. The only way I was ever able to solve it was to take the sticker's off!